Factory 1 Company Office 2014 Euroshop hold on Feb.17th-21th 2014 on Düsseldorf, Germany 2014 EQUIPMAG RETAIL CHINA EXPO hold on Oct.15th to 17th,2014 in Shanghai 2014 CHINASHOP hold on Nov.6th to 8th in Fuzhon,FUJIAN 2015 C-star hold on May.13th to 15th, 2015 in Shanghai 2015 RETEXPO hold in Moscow on Nov.26th to 28th. 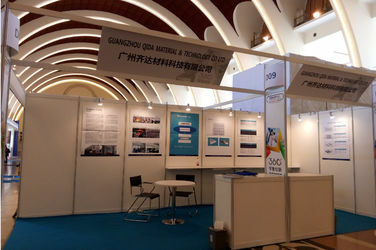 Guangzhou QIDA Material & Technology Co., Ltd is located in Hi-Tech Industrial Development Zone, Science City, Guangzhou, established in 2006 with registered capital of 20 million yuan, which is a high-tech enterprise integrating new materials and relative products research and development, manufacturing and marketing. 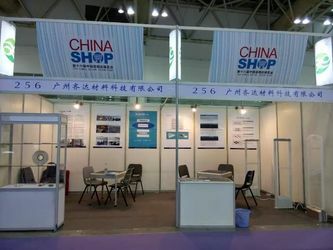 We mainly produce and supply high-performance amorphous alloy strip, nanocrystalline ribbon, AM soft label, semi-hard magnetic materials, stainless steel strip and molybdenum products. Our products cover all over the country and exported to other countries and regions of Asia, Europe, the Americas and Africa . 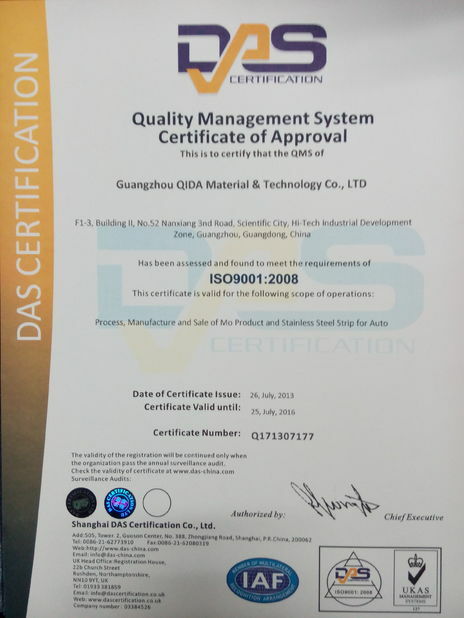 We adhering to the principle of quality first, as to ensure the quality stability and efficiency of the products, we passed ISO9001: 2008 quality management system certification in 2007. 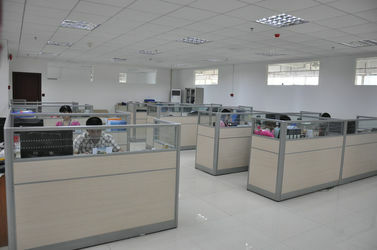 We own strong and development capabilities, R & D center was established in the same year, and actively carry out research and development work related to manufacturing equipment and new products. 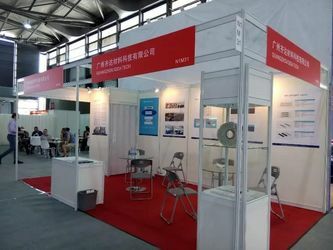 Highly emphasis on a combination of production, learning and research technology development route, established long-term stable cooperative relations in the field of high-performance amorphous alloy strip for Acousto Magnetic sensors with the Central South University and Guangdong University of Technology. 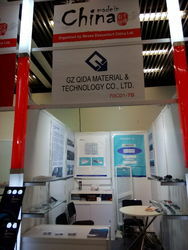 Received a number of invention patents, utility models and software copyrights in recent years, QIDA was identified as high-tech enterprises in 2006. 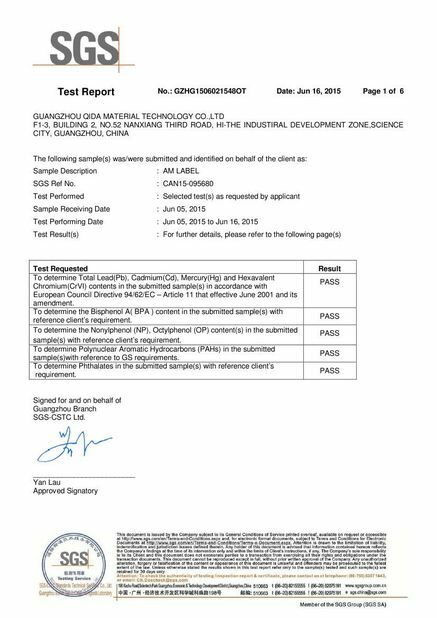 And won the special funds support from State Innovation Fund and Guangdong major scientific and technological projects in 2011, became a major supplier of amorphous materials which used in Acousto Magnetic labels. In 2013, was identified the first batch of Little Giant enterprises by Guangzhou Bureau of Science and Technology and Information Technology. With advanced equipment, talents, superb technology, excellent quality and best service, we win majority of customers’ trust and support. We would like sincerely cooperate with you to seek common development in the near future. Full set of Semi-Hard Magnetic Material Production line established in 2010. Full set of AM Label Production Line established in 2012. Annual Capacity reached 1 billion in 2014. 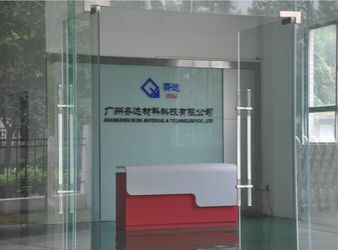 In 2015, was identified as "2015 guangzhou enterprise research and development institutions"; To extend the product line to four categories of hundreds of products. reasonable prices; the most professional products; the best services. 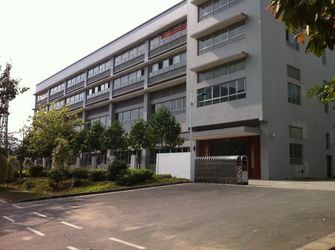 We have several independent R & D office,mainly responsible for testing of material performance,frequency,amplitude etc. 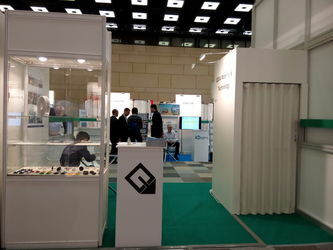 Our R & D team consistes of several Material Engineers,Electronics Engineers,Software Engineers and Automation Engineers etc.Our main achievements are including Independent development ability of manufacturing technique for amorphous ribbon & semi-hard magnetic materials and full automatic AM Label production etc. Our company has the complete set of Amorphous resonators and Magnetic bias production technology.We adjust the performance of the two materials accurately to best matching the status in the process of AM label production.So our labels provide outstanding alarm performance,and effectively improved the efficiency of the retail s security. In order to meet the diversified demands of AM label,our products can be divided into three series:QD label with 3 resonators,QD DR,QD Label with 1 resonator. The application of AM label is to ensure the labels have good alarm performance before through the checkout counter,and it is not alarm after deactivated by deactivation devices.We combined the various actual applied circumstances of AM labels during the production,and make sure the labels with good anti-attenuation performance,and then it is not work again after deactivated by standard deactivation devices. AM labels needs to work with matched AM antenna,the detection distance is different according to different brand or different types of antennas.Our frequency range is controlled in 57.7KHz~58.3KHz with better quality antennas,the others is 57KHz~59KHz with standard antennas. Some AM labels produced by other companies with lower precision frequency,fast attenuation performance,the detection distance of those labels will become short,and can t protect the retailer s security. Our company controls the precess of Amorphous resonators and Magnetic bias production,labels sealing accurately by high precision automation equipment,and we guarantee the labels frequency 57.7KHz~58.3KHz exactly,which can compatible with any AM antenna on the market without any problems. The retailers are very care about the consistency of AM labels in the different batches during the mass production.As our company has the complete set of Amorphous resonators and Magnetic bias production technology,together with the sealing and other related technologies.So we can fully guarantee the consistency of AM labels. As defective rate of the AM labels is the key point which decided the anti-attenuation efficiency,so our company offer Free Replacement service if our AM labels in inferior detection,deactivation and adhesive etc. 3. Easy operation, attractive design.